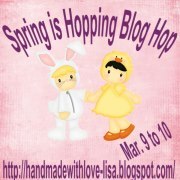 Welcome to the Spring is Hopping Blog Hop on March 9 to 10 from 9 am to 11 pm CST. Thank you for joining us to help us celebrate Spring and Easter. I love all things about the season of awakening So I decided to host this fun celebration with some of the most talented crafters that I know. I am the second stop along this bunny trail..... You should have come from Lisa's blog which is also the starting point on this hop. If not, please start at Lisa's blog as she has a gift for everyone. Your next stop is Vicki's blog. Now before you see my project I am offering BLOG CANDY!!! In order for you to qualify for my blog candy you MUST visit each blog on Day 1 and Day 2 and leave a comment as well as become a new follower of my blog. 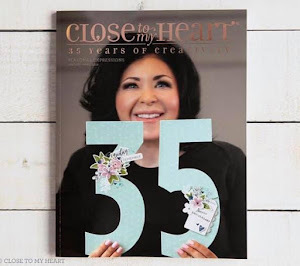 I will choose a winner who will receive the below CTMH "Chantilly" paper packet along with the coordinating Dimensional Elements. Now that all that fun is out of the way time to unveil my project....I make a popcorn style 3-D holder which I thought could be used as a non-traditional Easter Basket. 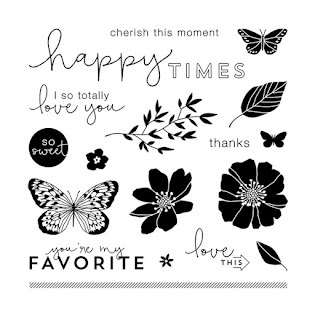 I used the CTMH Artiste Cricut Cartridge to cut out this cute 3-D shape. I used a retired Easter stamp set for the basket. I colored in stamped image using Spectrum Noir markers and used some pop dots to give it some dimension. Guess what paper this is? Chantilly!! The same paper packet that will be given as BLOG CANDY!! Below is the 3-D shape in action. Add a little easter grass, candy and fun eggs and there you go!! I'm not done yet... I also made an Easter Gift Card holder again using Chantilly paper as well as the dimensional elements on the cover. I used the same retired stamp set for the bunny and egg images. Cut some grass out of green paper and added to the inside of the holder to give a pop up effect when the card is opened. I also cut out the word "Easter" as well as this gift card holder using the CTMH Artiste cart. Thanks for Hopping by. Please come back tomorrow for another great project. I love them both. You did a great job! Very cute projects! I just got this cartridge and LOVE all the cool stuff on it. I can't wait to play! Thank you Lynn!! You have got to love this cart. You can do so much with it. Enjoy!! Your projects are inspiring. Love them! Great container and gift card holders!!!! Awesome job on the container and card holders.